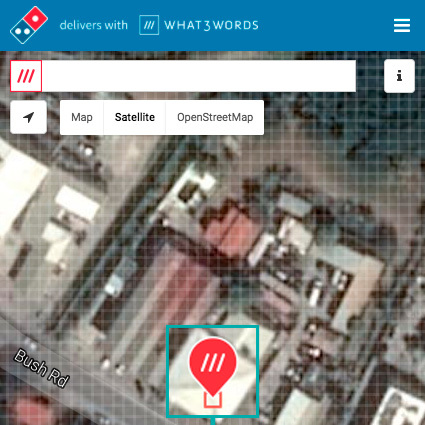 Stand by the main entrance of your delivery location and press the locate button, or type your street address into the search bar. 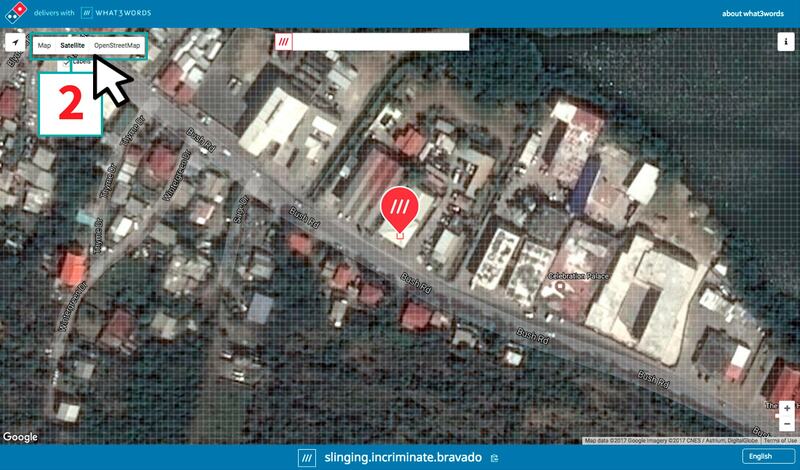 Switch to satellite mode and zoom in until you see the grid. 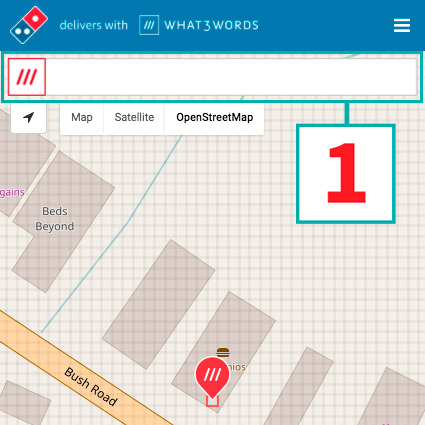 Move the map until the red pin points to the exact square you want to receive your pizza, normally the entrance to your property. 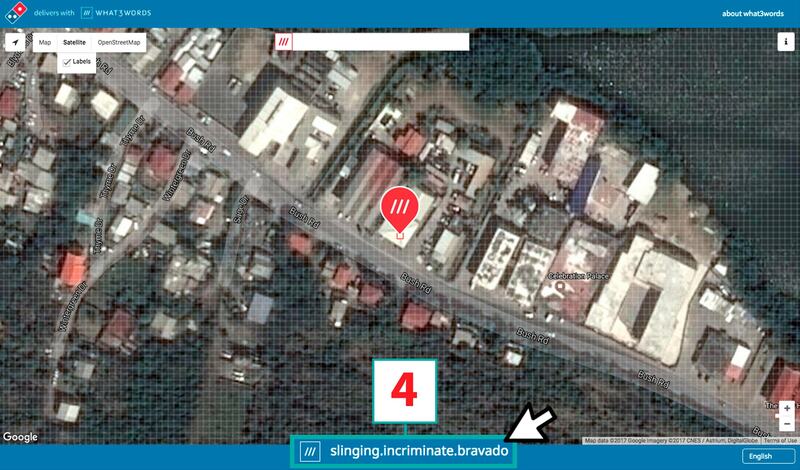 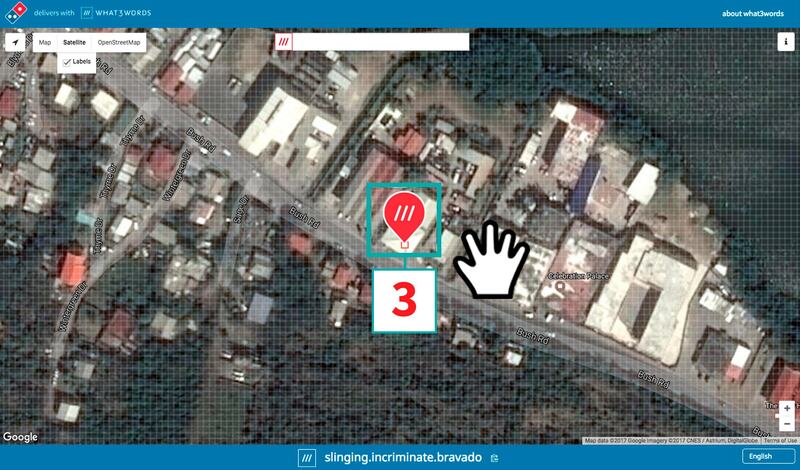 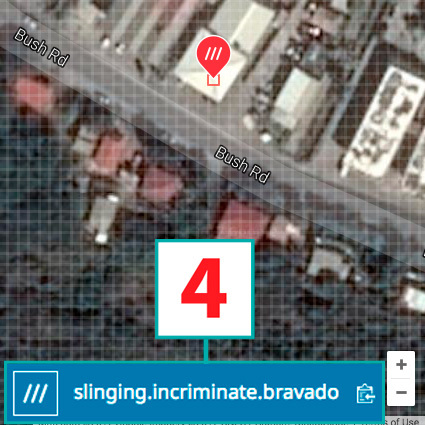 Your 3 word address is displayed on the blue bar at the bottom of the screen. 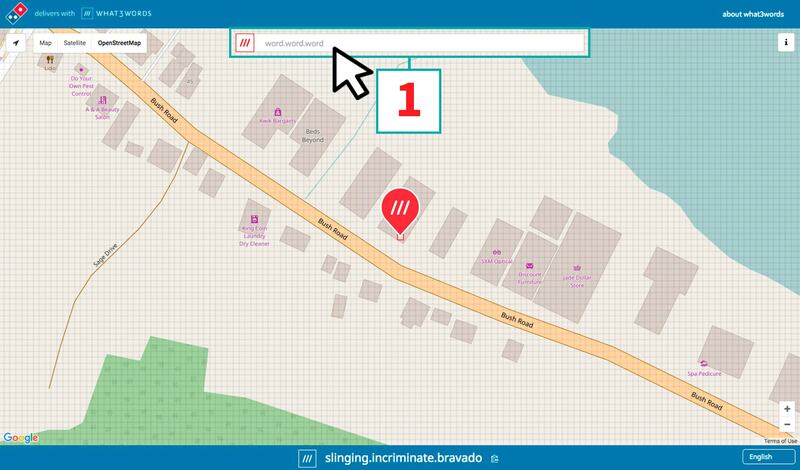 Save and share it. 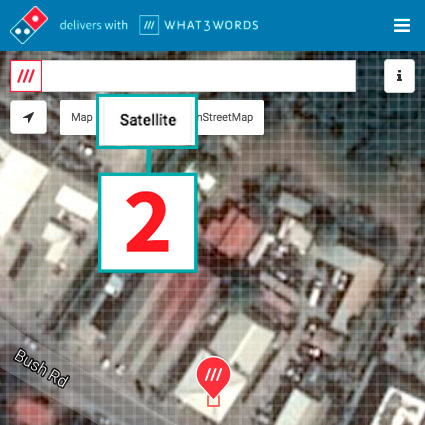 Tell us your 3 word address when you order your Domino’s by phone or add it to your street address when ordering online.